Dine the Couve: What kind of foodie are you? The good news? Dine the Couve has something for everyone when it comes to different cuisine, levels of fanciness, and location. The only bad news is that it can be hard to choose! Luckily for you, our guide below is a great starting place for selecting an epicurean experience that aligns with your inner foodie. While all restaurants participating in Dine the Couve feature three-item menus, some serve up options aplenty to pick from for each course. Head to Beaches Restaurant along the waterfront for seafood choices like citrus calamari, cioppino, and a salmon salad. Smokehouse Provisions lets you build your own plate of delicious smoked barbecue (seven mains to choose from! ), and Say Ciao! Tap Room and Eatery has a list of 11 items for a mix-and-match menu approach. Here for the beer? Doomsday Brewing Safe House is ready to show off its new food cart with chicken wings and pizza to go with your pint. 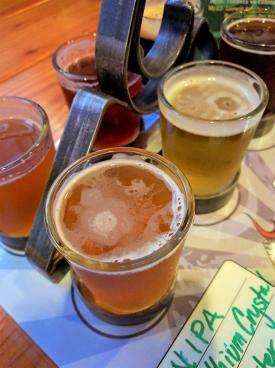 Loowit Brewing, also relatively new to the kitchen, offers a flight option to go along with a Pita Pizza and seasonal dessert. 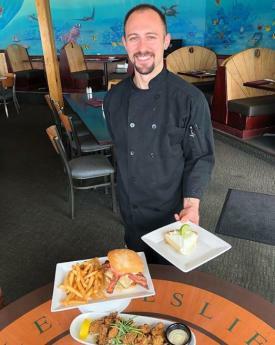 For local wine, find your way to Koi Pond Cellars’ downtown location—a choice of Chardonnay, Rosé, Cabernet, Geisha Red, or Merlot is on their menu to pair with a panini. Dine the Couve veteran Niche Wine Bar covers the three shades of wine and a course dedicated to chocolate. 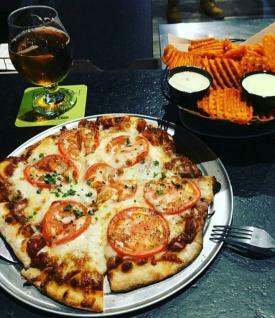 It’s hard to pass up tasty (and high-quality) bar food for dinner! Ben’s Bottle Shop tops Salt & Pepper Kettle Chips with all kinds of goodies before serving up a buffalo, bacon, and cheddar burger. 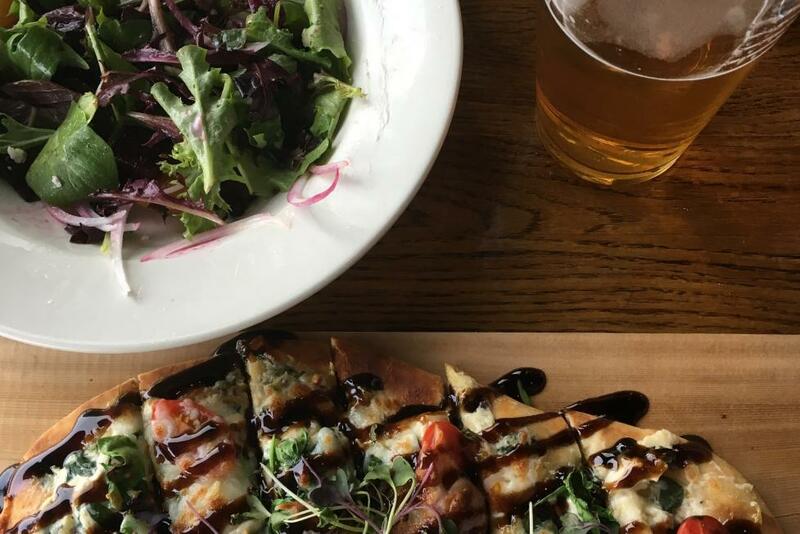 Heathen Feral Public House features any of their pizzas, and Trusty Brewing goes straight for the jalapeño poppers and nachos. Try Mighty Bowl for a healthy, low-key dinner (also the best option for vegetarian and vegan foodies). Whether you are celebrating a special occasion or just looking to enjoy an upscale meal, try these places for classic favorites and elevated flavors. 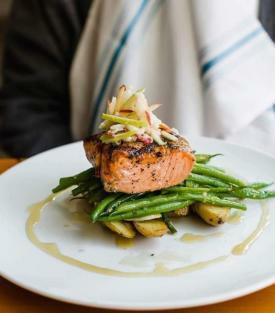 Elements Restaurant, formerly Willem’s on Main, joins Dine the Couve with offerings like a roasted half chicken with saffron potatoes and pumpkin white chocolate cheesecake. New to dining month, Hudson’s Bar & Grill located at The Heathman Lodge features its cheese and pear-filled pasta sachets or its renowned meatloaf. Lapellah brings the fall tastes with roasted butternut squash soup, a shaved brussels sprouts salad, and house made wood-grilled pork sausage. Don’t miss the top Sirloin with peppercorn demi glaze at the newly revamped Grays Restaurant. Let your taste buds travel the world! 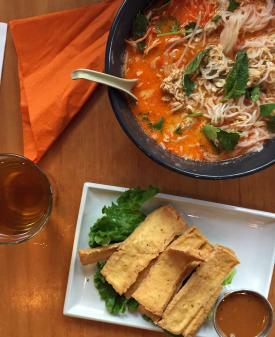 NOM NOM’s rich Vietnamese and Thai heritage comes through in its Kaopoon Nam Gai and Lemongrass Chicken Pad Thai options. Be transported to Europe’s boot at Little Italy’s Trattoria with a menu of bruschetta, pasta and meatballs, and a cannoli for dessert. Another ‘little’ that boasts big flavors is Little Conejo, which has six authentic Oaxacan tacos on its Dine the Couve menu, with Piloncillo cookies and chocolate dipping sauce. This is just a sampling of the many options offered during the month of October. Find all the special menus on our Dine the Couve webpage. Bon appétit!